We are not quite ready to announce that weathering steel is the new wood, but we are flirting with the idea. 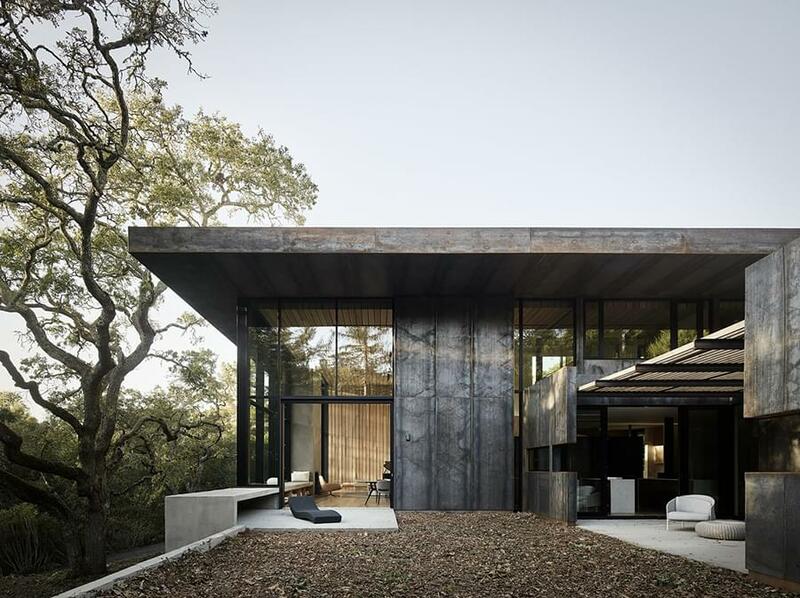 We are suddenly noticing examples of weathering steel combined with massive panes of glass, raw concrete and untreated wood. And all this with results that don’t seem brutalist or cold but rather approachable and liveable. 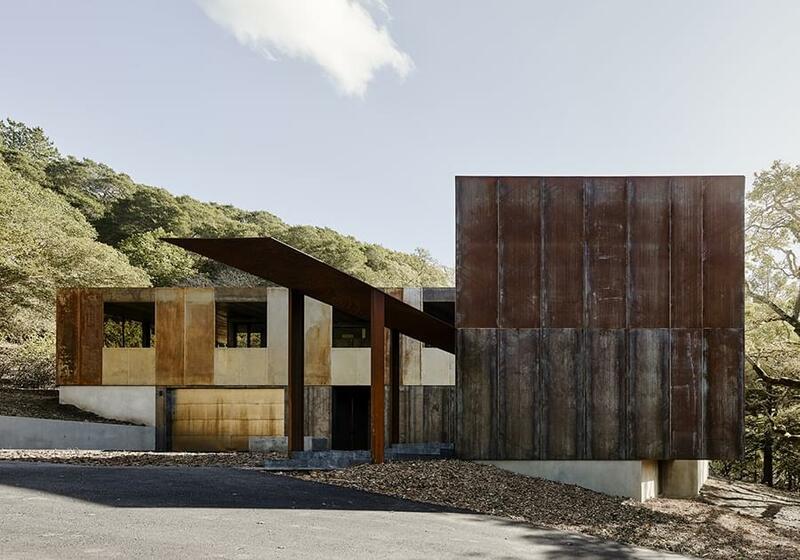 In the case of the Miner Road family residence, steel rules supreme. Yet it was the oak trees and the site itself that initially attracted the owners. 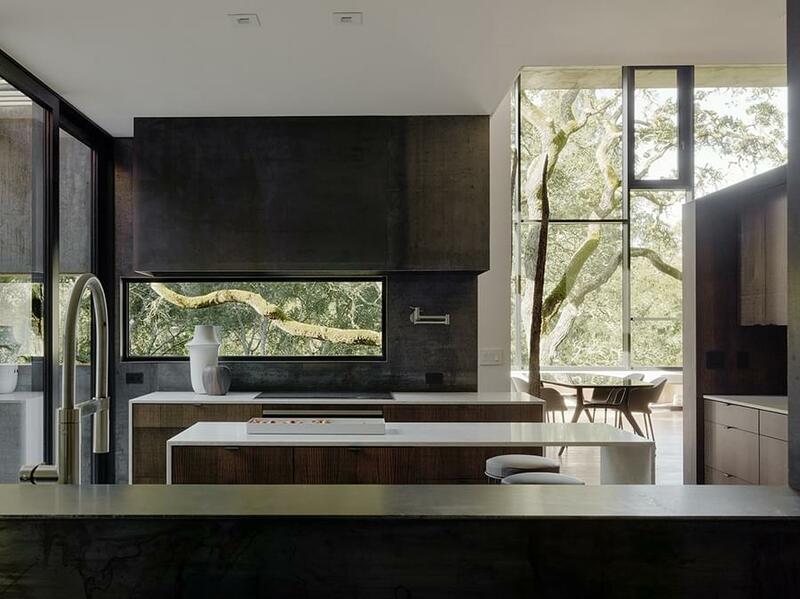 And it is the house’s interaction with the surrounding nature that gives the home its now-so-obvious right to be exactly where it is and look exactly as it does. 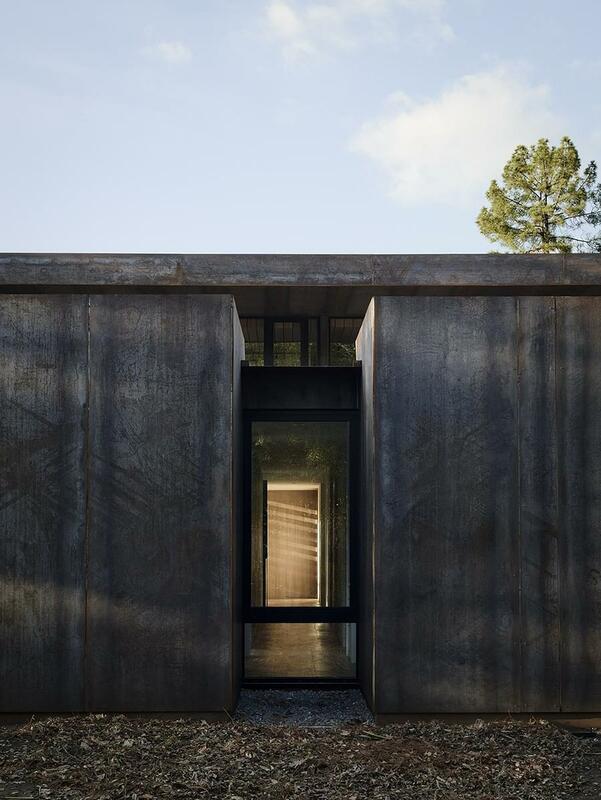 It is a well-weathered steel sculpture that just happens to be a home. The vistas from the inside speak especially loudly of belonging. The house belongs on this lot and looks like it’s always been there. 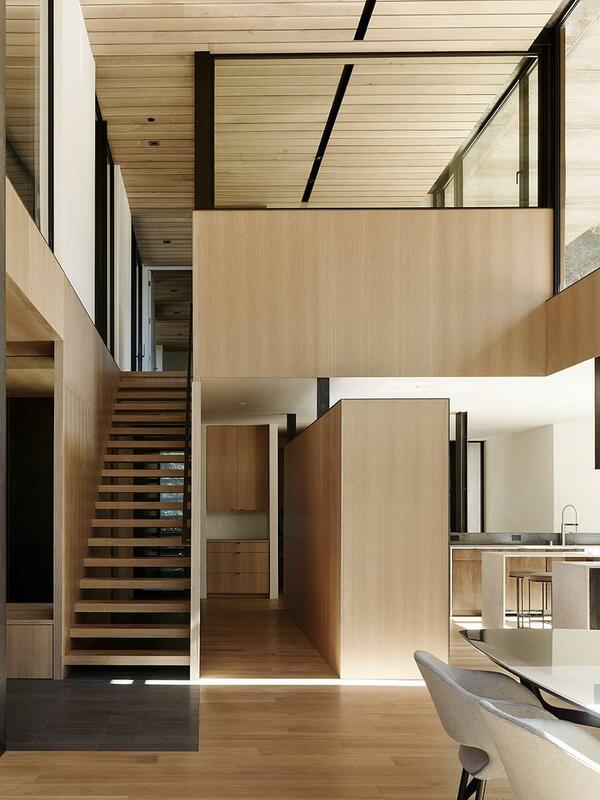 The Mine Road House is a product of the owners’ vision of a sustainable, light-filled home with a modern presence, and the architect’s clear understanding of just such a vision. 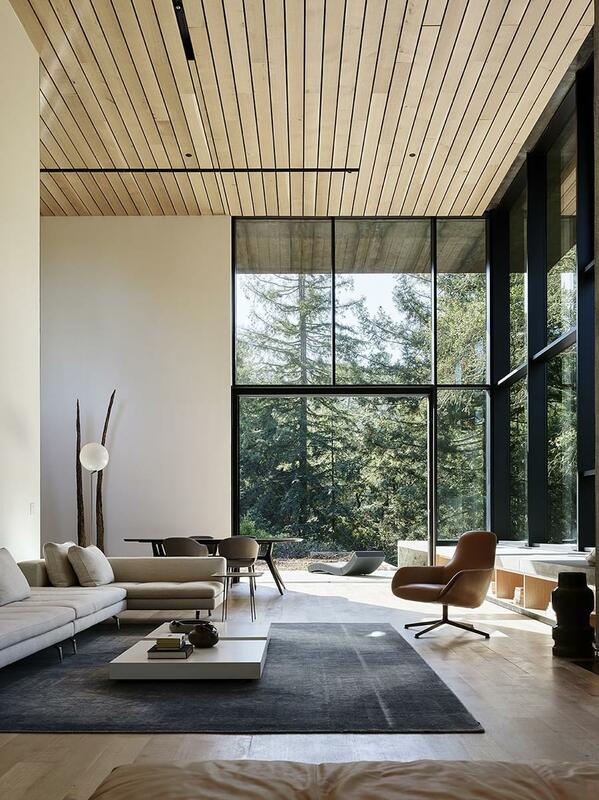 Perhaps the sense of fitting in is partly the result of how San Francisco Bay area architect Greg Faulkner, landscape designer Thuilot Associates and interior designers at DZINE Concept created this new home directly on the footprint of the dilapidated previous house. The Miner Road house’s owners are a couple with two young sons who had lived in Oakland for 17 years and were looking for more outdoor space for their sons to explore. They fit well in the Bay Area town of Orinda, ranked as the second most friendly town in America by Forbes. Orinda is home to affluent suburban professionals who commute to Oakland, San Francisco and Walnut Creek. The area is also popular with Bay Area hikers for its parks and trails and rolling oak-covered hills. Indeed, the couple liked the location at the foot of the Hayward Fault, and saw the potential of the nearly eight-acre former urban infill site, but they did not care for the existing run-down house on it. 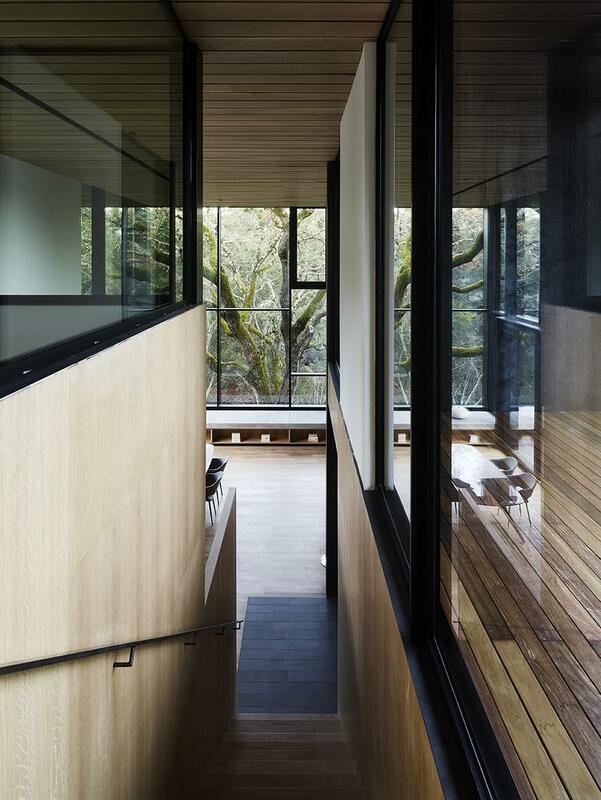 With the owners’ vision and the site’s clear potential in mind, Faulkner channelled Le Corbusier’s pre-brutalist Unité d’habitation principles, especially in the mezzanine-level that floats within the double-height living space and contains the master suite and the office. 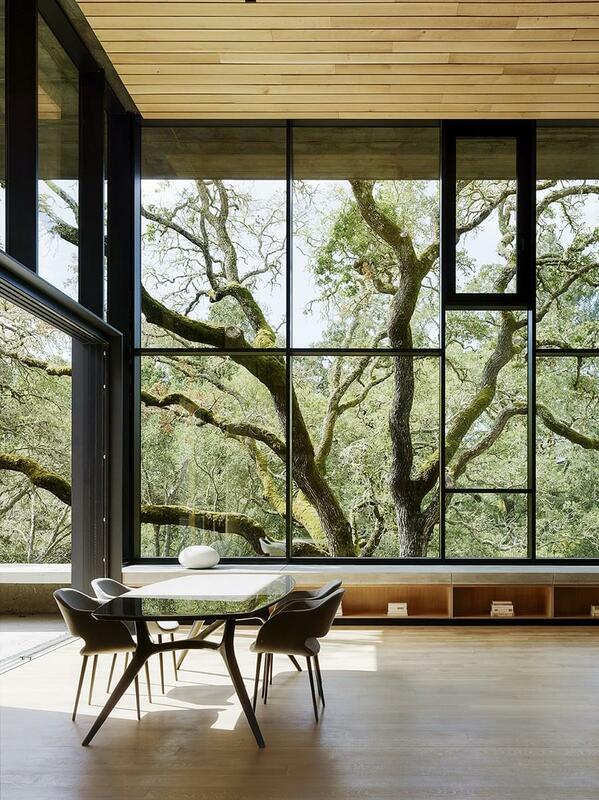 The main feature of the home, however, is not the handsome mezzanine, nor the steel or the raw oak panelling but the spectacular oak tree visible through massive windows. Tuija Seipell.